This is not an outrage, I love the brand for being Vegan and Cruelty-free and for their steps towards animal welfare and to add their customer care has been a cordial experience so far. This is an eye-opener post for all the makeup lovers who are planning to purchase from Colourpop Cosmetics and ship/import it in India. In January 2017, in the hope greed of acquiring more and more Colourpop super shock eyeshadows, I placed an order for 12 super shock eyeshadows. Coincidentally, the brand was giving away free 'newly launched' eyeshadow brushes. 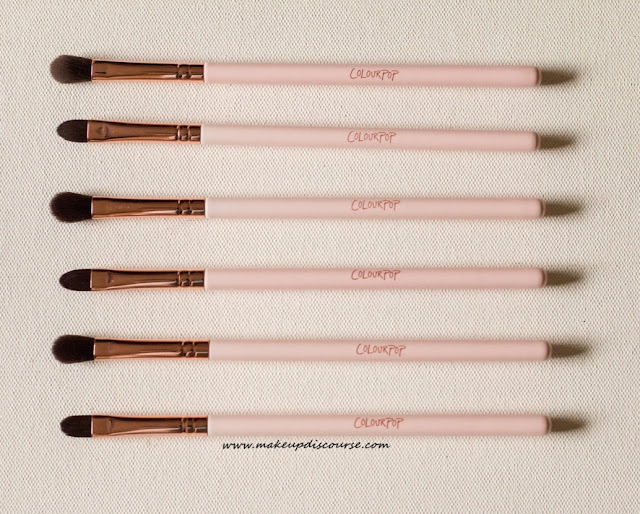 Vegan and Cruelty-Free Brushes, and I refrained from restricting myself. So I placed an order and I could not wait for it to arrive. I was wondering looking at the brushes and the pricing, really really wondering if I made the right decision by greedily adding 12 eyeshadows for the brushes. 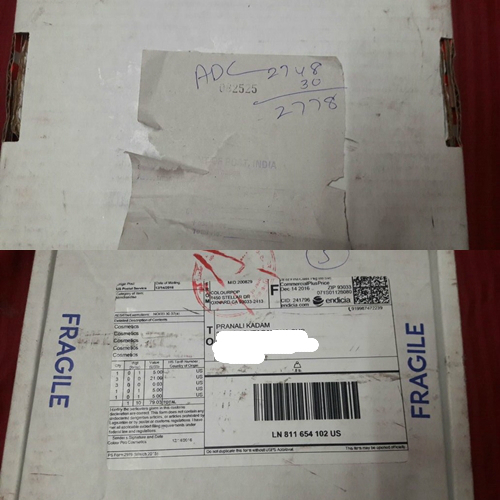 It did almost after, 15-20 days(don't remember exactly) and also arrived a shocking fact: Import Customs Duty. INR 2778/ $40 for an order worth $53. I checked again to see if it is 270 or 2778, to be really sure. My calculations were wrong! And I sat down to really check if there was no error by calculating online. Here are few websites that let you calculate the import customs duty in India online and for free. Dutycalculator.com needs a subscription. And when I checked the customs bill which was stuck on the outer package, I could see $21 for three brushes and the total was calculated as $79.03 (on the surface.) But if you really calculate everything: 6 brushes and $53 worth eyeshadows, exactly 50% customs duty was charged. 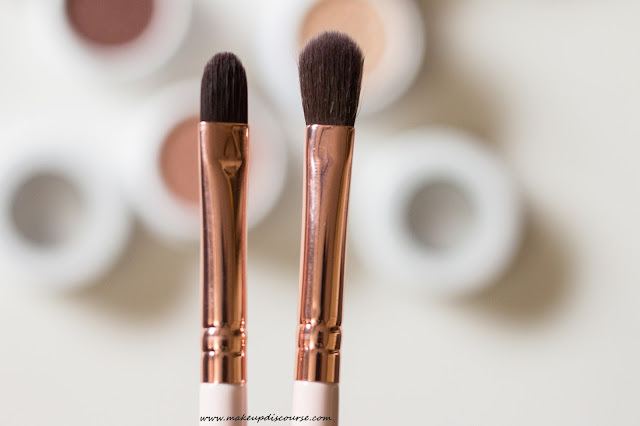 And even if you calculate the whole price including the free brushes, It turned around $95/6507 INR $53 eyeshadows + $42 free brushes, it does turn out less ie 1900 INR. So in fact, 50% is the new duty rate of the 'New' government. So was it worth all the hassle? Not so much! 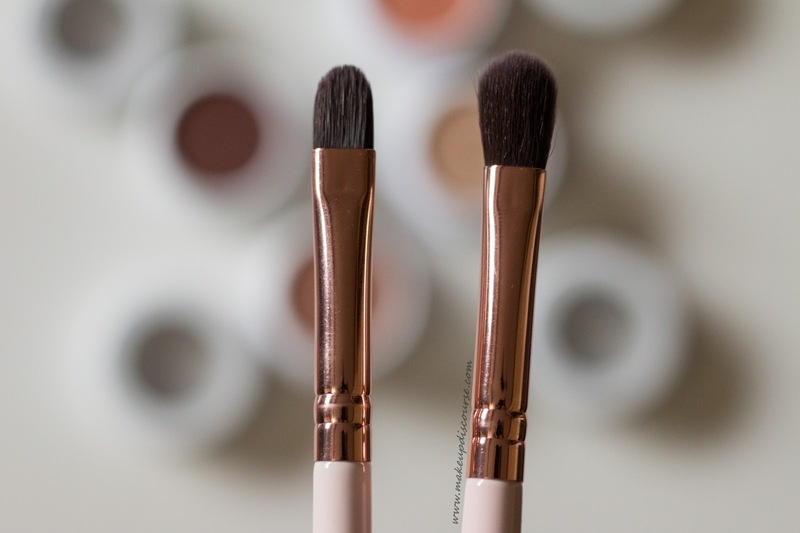 The brushes are custom made for the eyeshadows and work like a dream together. But I don't think they're worth the price tag! I'd take that as a lesson and hence I decided to shop wisely (hopefully). Spending INR 8000 for an Indie brand, No thank you! That would be a hassle. They do look nice, but I wouldn't want to go through that just to get them. I have been eyeing these for awhile now. The price it's the only thing stopping me. But your review definitely help. Ouch! That should have been made clear in the ordering process. So not cool. I probably would have returned them out of principle! Ouch, that surprise hurt. But I can only imagine how good the brushes are. That definitely does sound like an expensive hassle. At least the brushes look beautiful, though! Oh that's too bad! I hate it when that happens with customs and taxes. Ugh! The brushes look really nice. Not sure if I would want to go through the hassle or price tag. Sorry about the custom duties. It is the same over here, the final price often kill the excitement of try these brands.